WASHINGTON — The White House Initiative on Asian Americans and Pacific Islanders (AAPIs) announced that Holly Ham is its new executive director as of Nov. 13. 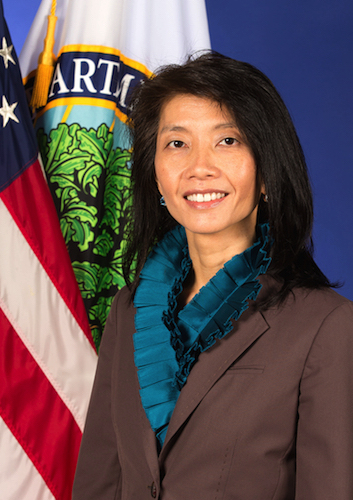 In this capacity, she is responsible for directing the efforts of the White House Initiative and the President’s Advisory Commission on AAPIs to advise federal agency leadership on the implementation and coordination of federal programs as they relate to AAPIs across executive departments and agencies. The White House Initiative on AAPIs works with these entities to improve the quality of life and opportunities for Asian Americans and Pacific Islanders through increased access to, and participation in, federal programs in which they may be underserved. Two of Ham’s immediate priorities include filling the advisory commission and touring across the country to meet with community leaders. Current commissioners are Ravi Chaudhary, Billy Dec, Bill Imada and Lorna May Ho Randlett. In addition to Ham, staff members are Diana Yu, chief of staff; Akil Vohra, director of strategic initiatives; and Rebecca Lee, communications director. Ham has been at the U.S. Department of Education since January, serving as the assistant secretary for management. Previously, she had an extensive career in private enterprise, focused on increasing organizations’ productivity through technology. Ham is a fellow at the Asian Pacific American Women’s Leadership Institute (APAWLI) through the Center for Asian Pacific American Women and has long been involved in efforts supporting families and students in need, serving on the board of Skills for Living Inc. and advising the board of Financial Mentors of America. Ham is a graduate of the University of Houston, where she received both her bachelor’s and master’s degrees in business administration, graduating Beta Gamma Sigma. She lives in Washington, D.C. with her husband and two children. For more information, visit www.ed.gov/aapi.